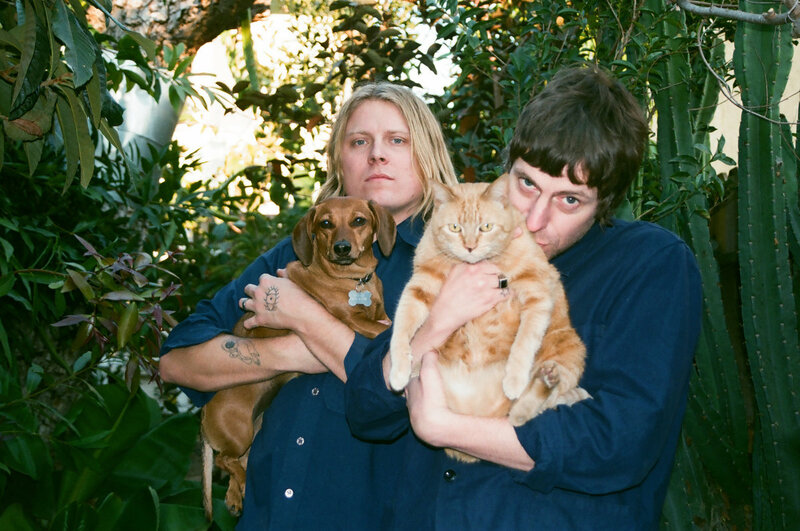 With Joy, Ty Segall & White Fence’s new collaborative set of songs accelerate wildly from where we last found them, sharing one debaucherous mind. Their hits are like mementos buried in the ground, crawling up from the earth with attractive deformity – an auditory return to Salem’s Lot with fresh, mutated sounds bubbling from beneath the surface! The new album drops July 20th and whatta Joy it is! Patience is a virtue, good things come to those who wait blah, blah, blah— all that’s totally overrated, and it’s why the Presley/Segall hive-mind is dropping “Body Behavior” today, no waiting required! “Body Behavior” absolutely rips, a shock-and-aaahh-hell-yeah clocking in at just over two minutes! It’s damn catchy, some of the purest post-punk-pop imaginable that only two of the most prolific living musicians can offer! Activating the undeniable chemistry you’ve come to love from Ty and Tim, “Body Behavior” roughs up the edges with jagged results that hurt Too good – but we know you can handle it!